Gravity Flow includes built-in support for Sprout Invoices. On a standard Gravity Forms installation the Sprout Invoices add-ons will create the estimates/invoices during the form submission process. The Gravity Flow integration enables administrators to add workflow steps at any point in the process to create estimates and invoices at a time of their choosing. 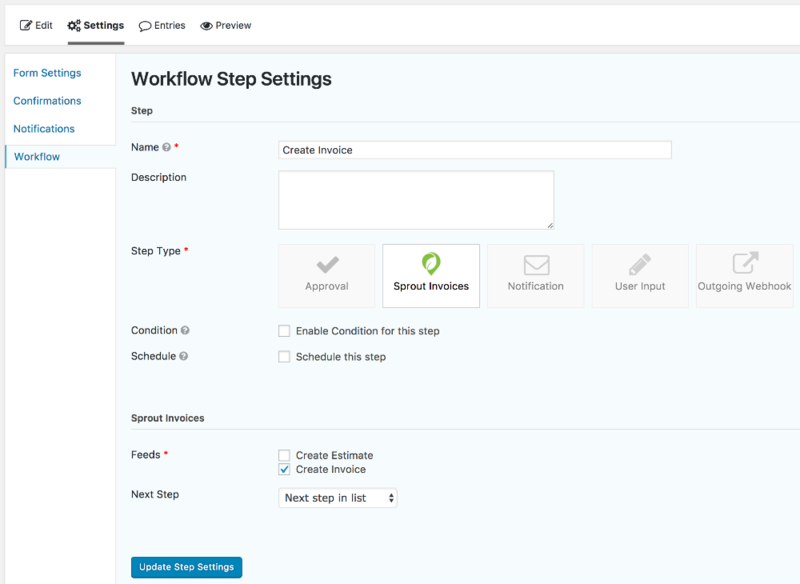 Once you have mapped your form via the Sprout Apps > Sprout Invoices > General Settings page you're ready to add your workflow step. 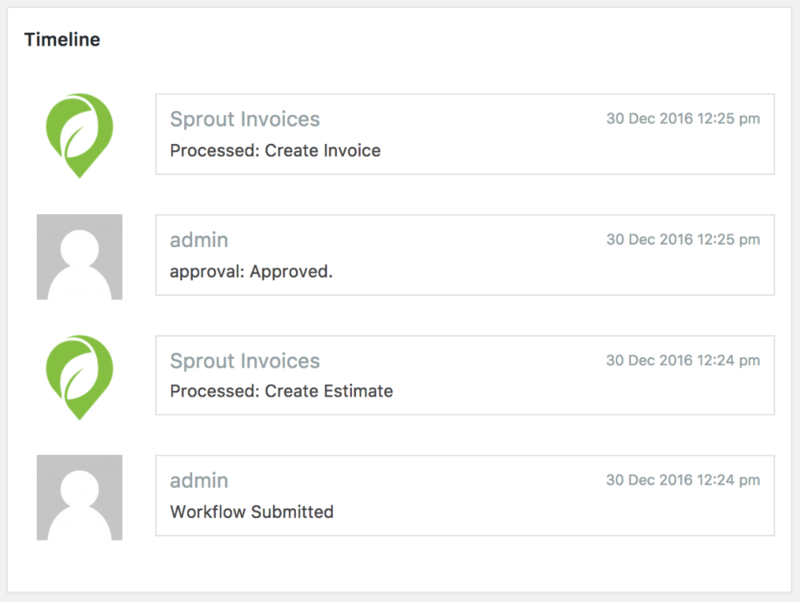 You can add a Sprout Invoices step at any point in the workflow. For example, you might want to create an invoice in the middle of a workflow after some user input and approval steps. When you select the Sprout Invoices step type the settings will appear below. The settings allow you to select what will be created, estimate and/or invoice, and select the next step just as you would for any workflow step. A note will be added to the entry timeline indicating the step name as well as the date and time the Sprout Invoices step was processed. The Sprout Invoices integration was added in Gravity Flow 1.5.